Even though Call of Duty: Infinite Warfare has been out for less than 2 months, developer Infinity Ward’s game is already getting its first expansion, as the upcoming Sabotage DLC will be released for the game on January 31. As part of an exclusivity deal with Sony, this first DLC for Infinite Warfare will be available on PS4 on that date, while Xbox One and PC gamers will get the Sabotage DLC later. So what does this Sabotage DLC bring to Infinite Warfare, and will it be enough to rekindle player’s interest in the game? There’s 4 new maps for starters, the highlight of which is the Dominion map, which is based on the popular map of the same name from Modern Warfare 2. 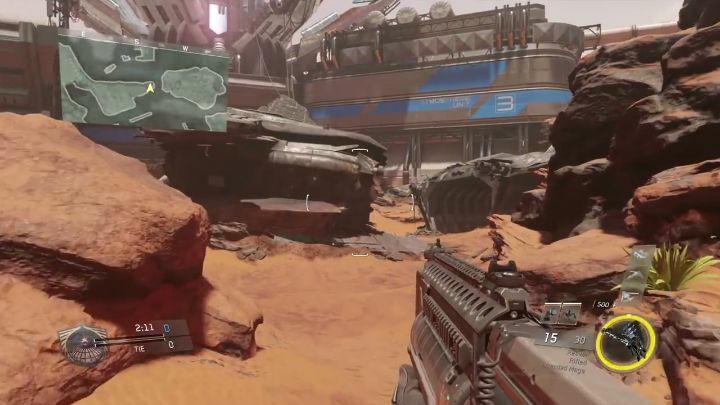 This features the same landmarks and crashed ship in the centre of the map as the original, but Activision has tweaked things a bit to take advantage of the new movement system in Infinite Warfare, according to the official description. Aside from the Dominion map, three other maps have been added to the game: “Noir”, which is set in a future Brooklyn during night-time; “Neon”, a virtual reality training centre which lets players practice their urban warfare skills; and “Renaissance” which takes place in the city of Venice, its watery canals and tightly-packed buildings likely giving players plenty of tactical options in multiplayer matches. Developer Infinity Ward will also add to the game’s zombies experience with the upcoming Sabotage DLC, as the new Rave in the Redwoods chapter is set in the 90’s on a lakeside summer camp (the typical setting of so many slasher movies), in which the four protagonists of the earlier Zombies in Spaceland must fight legions of undead in order to find their way to freedom. Call of Duty fans who have enjoyed Infinity Warfare and are looking to take the game out for a spin again will likely be interested in this Sabotage DLC then, especially if the new maps really improve the multiplayer experience and the new zombies chapter ends up being as good as what we have seen in Call of Duty to date. Note: Call of Duty: Infinite Warfare’s Sabotage DLC will be released on January 31, 2016. Available on PS4. (Coming to Xbox One and PC at a later date).